April 14th, 2016 by Larry Putnam Sr. The story of QSM and software application estimation begins during my time in the Army. I was assigned to Sandia Base, NM to research methods for protecting soldiers from the effects of nuclear explosions. I had to do several calculations to determine the impact of an explosion (blast calculations) on soldiers using a slide rule, which was very tedious. Sandia National Laboratory was next door to my office, and they had just gotten the biggest and best engineering computer available at the time. They offered computer time for anyone needing it and even offered to teach me programming, so I decided to take a course in FORTRAN programming over my lunch hour so I could do my blast calculations quicker. These lessons aided me in completing my work at Sandia and followed me to my future assignment at the Pentagon. For my tour at the Pentagon in the 1970s, there was not a lot of need for my nuclear experience so I was assigned to the Army’s computer program. We had to defend our program budget to the Department of Defense (DoD) budget review authority (OSD). One system, SIDPERS, the Army enterprise personnel system, had been in development for five years and after having a peak staff of 110, we were projecting 93 people for the next five years. The analyst looking at the budget asked what should have been a simple question, “What are these people going to do?” I did not have a good answer, and later, going back to the project team, neither did they. Because of this we lost $10M in our budget. The time has come, once again for QSM’s annual March Madness tournament. As we enter our 6th year of friendly office competition, I looked back at some of my previous strategies to help me figure out how I wanted to go about completing my bracket this year. In doing this, I realized that many of these concepts can be applied towards IT project management. Three years ago, I built my bracket around an emotional desire for my preferred team to win. I paid very little attention to their previous performance that season, or any of the other teams for that matter. Needless to say, I did not do as well as I had hoped that year. Unfortunately, this strategy is applied fairly frequently in software estimation, with stakeholders committing their teams to unreasonable schedules and budgets for projects that are “too big to fail.” Committing to a plan based off of the desired outcome does not produce a good estimate, and often results in cost overruns and schedule delays (or in my case, quite a bit of ridicule from the Commish). Are Late Software Projects a Victim of 'The Planning Fallacy'? Too many projects are late, over-budget, under-delivered, or a combination. The problems continue despite widespread awareness and improvements in project management knowledge, tools, and process maturity. 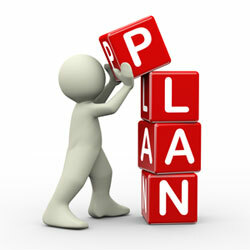 A recent piece in the Washington Post business section identified a likely culprit: “the planning fallacy”. Princeton psychologist Daniel Kahneman and Amos Tversky of Stanford describe it as “the tendency to underestimate the time, costs, and risks of future actions and overestimate the benefit of those actions”. The results are time and cost overruns as well as benefit shortfalls. The concept is not new: the pair coined the term in the 1970s and has been researching it since. According to the Post, cognitive biases such as optimism bias (the tendency to expect positive outcomes from one’s actions) and overconfidence can be causes of the planning fallacy. There is a growing body of evidence, collected by researcher Bent Flyvbjerg at Oxford University, that optimism bias is an important bias affecting the quality of forecasts in project planning. Other explanations of the fallacy include possible intentional and deliberate considerations on behalf of the planner - such as incentives, organizational pressures and strategic deception. Read more about Are Late Software Projects a Victim of 'The Planning Fallacy'? At QSM, we have one of the largest industry databases in the world of completed software projects. The data comes from our clients with their permission and this data has been the backbone of our software estimation business for over 35 years. We can see what is reasonable on software development projects as it relates to cost, team size, effort, duration, size, and reliability. Because of our experience we are often asked about risk factors and estimation accuracy early in the project lifecycle. We explain that increased accuracy comes with having historical data and good sizing information. But what happens on the early estimates when clients don’t have history and detailed sizing information? Can they still generate scope level estimates so they can make good business decisions? The answer is yes. 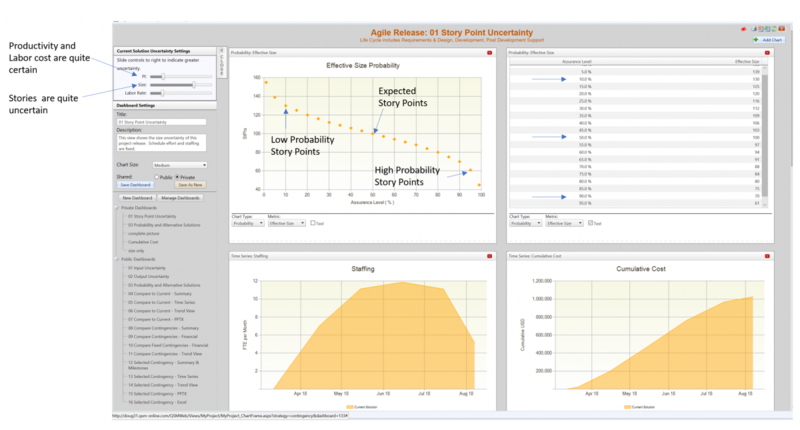 Risk management techniques can be applied and project uncertainty can be calculated so organizations can plan effectively. This is very important because big business decisions are often made early. Decision-makers need to know if they should move forward with a project and they need to know how much time and effort to allocate. 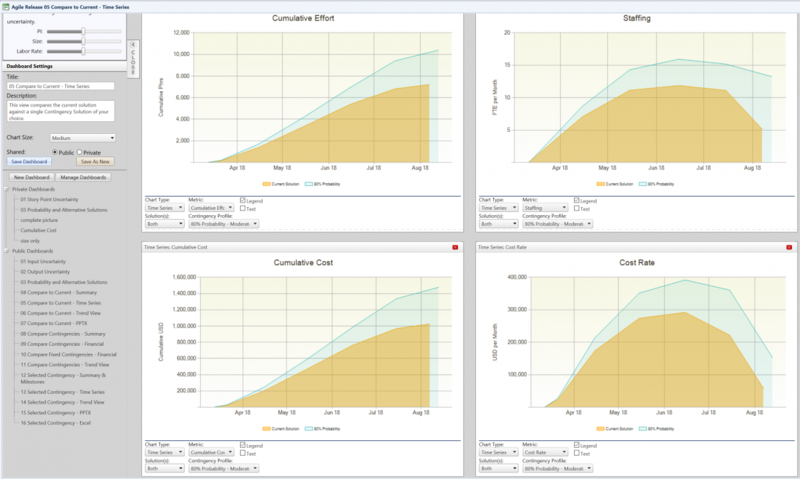 We use SLIM-Estimate, which is a leading estimation tool that leverages the Putnam Model. It generates reliable estimates based on QSM’s time-tested forecasting models and historical data and it also provides scope level estimates when project information is hard to find. It will allow you to see the chance you have of hitting your project goals and it will allow you to factor in your uncertainty. 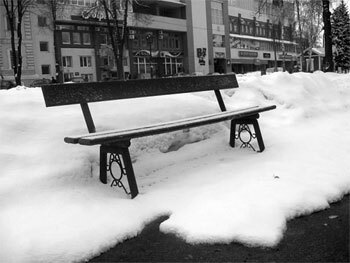 With the most recent spurt of inclement weather, there is really no denying that winter is here. After awaking to about 4 inches of snow accumulation, I begrudgingly bundled myself up in my warmest winter gear and proceeded to dig out my car. Perhaps the brisk air woke me up faster than usual because as I dug a path to the car, I began to think about software testing, specifically how effective early testing can reduce the chances of schedule slippages and cost overruns. Allow me to explain. Being an eternal optimist, I was grateful that the snow I was shoveling and later brushing off my car was light and powdery. Despite the frigid temperature and large quantity of snow, I realized that it was good that I had decided to complete this task first thing in the morning. At the time the snow was relatively easy to clear, and had I waited until the afternoon, the sun would have melted enough of the snow to make this task significantly more difficult and time consuming. From Proposal to Project: An Interview with Larry Putnam, Jr. In the software project management field, projects go badly about 43% of the time and fail completely 18% of the time. While there are several reasons for this, and plenty of blame to go around, one of the easiest ways to reduce the risk is to start at the beginning – with the proposal. In a recent interview with Cameron Philipp-Edmonds of StickyMinds, Larry Putnam, Jr. talks about the importance of the proposal when executing a successful project. He identifies five key questions that should be answered before any project starts and how software estimation ties into the proposal process. Read the full interview transcript here! Read more about From Proposal to Project: An Interview with Larry Putnam, Jr.